Let's turn to the stars for inspo. Red lipstick can be intimidating to wear, especially for first-timers. You'd think the fiery shade will make you look older than your real age, but it won't! Still not sure if you're willing to try it? 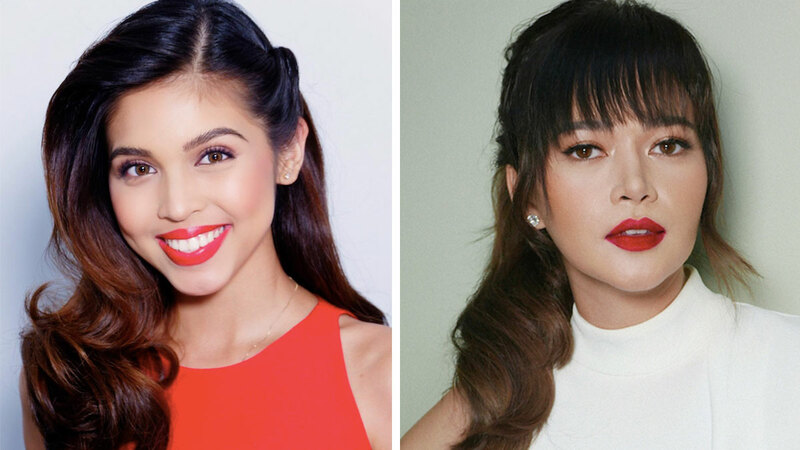 Let these celebs convince you to swipe on a crimson lippie, stat! Kisses Delavin's subtle rosy lip can be achieved by applying a red hue and blotting it with a tissue. Anne Curtis kept the rest of her face bare to let her red pout stand out. Lovi Poe's brown smoky eye makeup paired with burgundy lips spell D-R-A-M-A. Matte red lips and winged liner always go together, but Bela Padilla chose to be different: She wore wispy eyelashes instead of a defined cat-eye. Janella Salvador's bronze eyes and burnt red lipstick look great on all Pinay skin tones! With a light hand, sweep burgundy eyeshadow on the lids, dust a rose-colored blush on the cheeks, and put on a bright, warm red lipstick. Don't forget to flash a pretty smile like Maine Mendoza's. But if you're simply too dyahe, cop Maris Racal's look: Just apply lip tint on your pout and top it with clear gloss.